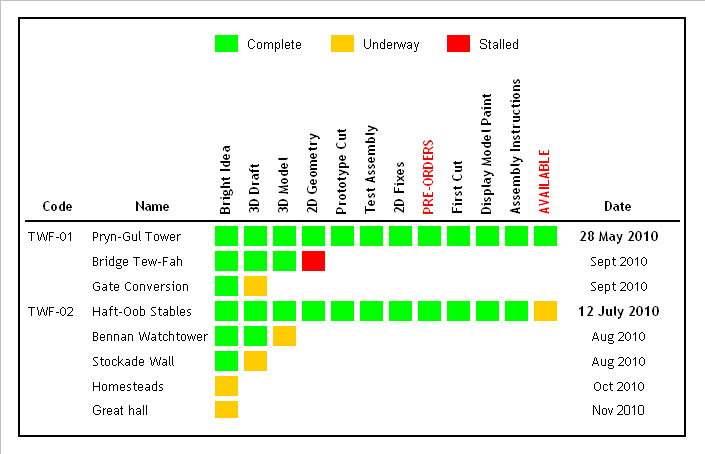 In an attempt to give you an idea of what building kits I have in progress and when they might be available I've put together this chart. I'll update it on around a weekly basis, or if there is any significant progress, but I wont be publishing it here on the news section - it will be on the "Coming Soon" link above. If you read this blog through an RSS feed or similar then you wont be notified when it changes but it will always be there for you to come and read. 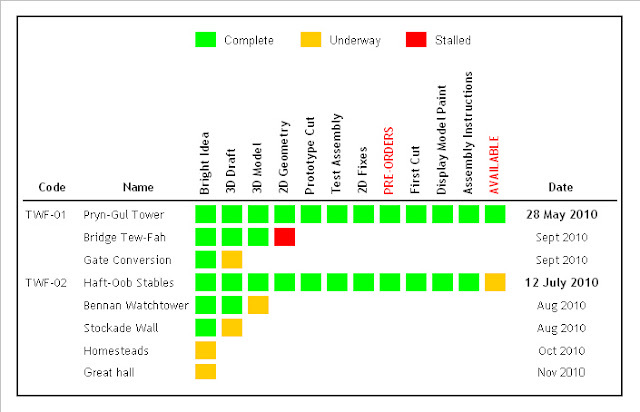 Dates shown are estimates so I cannot guarantee that they will be accurate but they are what I am working to. Hope that helps answer a few questions I have been getting recently!